The submitted papers are reviewed by the leading specialists in the field of Linguistics, Methods and Didactics of Teaching, Inter-cultural Communication, Theory and Practice of Translation and are registered in the Russian Index of Scientific Citing. A full-text version of the Journal can be found on the website of the Russian Universal Scientific Electronic Library. Any use of the copyright of the Journal materials without the editorial staff permission is strictly forbidden. The references to the Scientific Newsletter are obligatory when citing. • The Russian version of the Scientific Newsletter “Modern Linguistic and Methodical-and-Didactic Researches” of Voronezh State University of Architecture and Civil Engineering is published 4 times a year (in March, June, October, December). 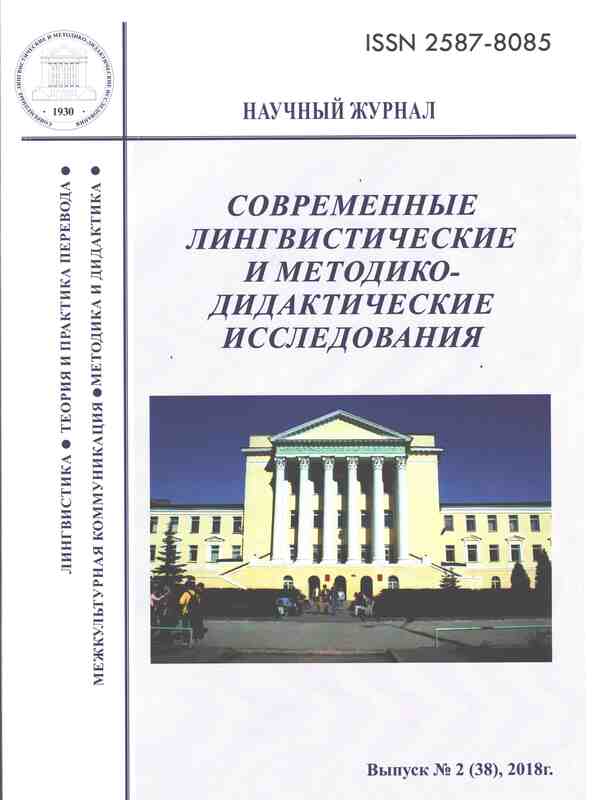 • The English version of the Scientific Newsletter “Modern Linguistic and Methodical- and-Didactic Researches” is also published four times a year in 2 weeks after publishing the Russian version (in March, June, October, December). The publication of the articles in journal Scientific Newsletter. Series “Modern Linguistic and Methodical-and-Didactic Researches” is free of charge. The working languages of the Scientific Newsletter are: Russian, English, German, French and Spanish. For more detailed information about the editorial board contacts and the work schedule with authors refer to the section “Contacts”. 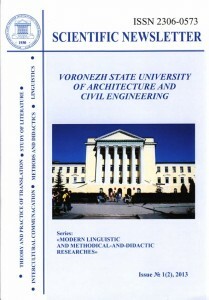 If you want to purchase the Scientific Newsletter “Modern Linguistic and Methodical-amd-Didactic Researches” choose one of the possible options below: 1) subscribe to the printed version of the issue, the subscription index is 47198; 2) subscribe to the electronic version of the issue on the Russian Universal Scientific Electronic Library site: http://elibrary.ru/defaultx.asp 3) subscribe to the series in the Scientific Newsletter`s editorial office. Please send your application to the following address: lavrinirina1@yandex.ru The electronic version of the Scientific Newsletter can also be found: 1) on the Scientific Electronic Library site: http://elibrary.ru/defaultx.asp 2) in the “International Bibliography” system of Modern Language Association of America; 3) on the Educational Portal of Voronezh State University of Architecture and Civil Engineering. Concerning the scientific advertising in the Scientific Newsletter (for the purpose of getting information about the new publications in the field of modern linguistics, methodological- and-didactic researches) please contact us on tel. : (4732)76-39-73 (Lavrinenko Irina Yurjevna, technical secretary), e-mail: lavrinirina1@yandex.ru The information about the Journal, can also be found on the Educational Portal of Voronezh State University of Architecture and Civil Engineering.